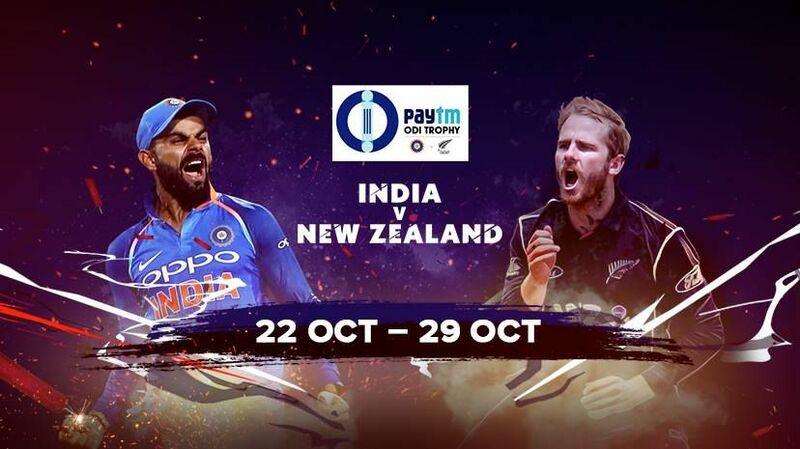 IND Vs NZL one day cricket and 20twenty matches can be watch through hotstar cricket live stream. Star network holding the broadcast rights of ind vs nzl cricket matches. there are 3 one day and 3 twenty20 matches in 2017 tour of new zealand. if you are missing the matches through television, here is the option to watch it online officially. it’s also available through hotstar.com ans star sports channels. if you are using fta system, dd1 channel will telecast all these matches. wait few more hours for the first match between india and new zealand. 22nd october is the date for 1st one day match between india and new zealand. Wankhede Stadium, Mumbai will host this match, all the odi ate day night. these 3 cricket matches will start at 1.30 p.m ist and twenty20 will start at 7.00 p.m. 2nd ODI Ind Vs Nzl is at Maharashtra Cricket Association Stadium, Pune on 25th of this month. Last odi match will play at Green Park, Kanpur, 29th october. Twenty20 matches will start on 1st november, Wankhede Stadium, Mumbai is the venue. enjoy hotstar cricket live streaming through app and hotstar.com, support team india.